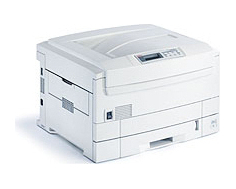 The Okidata C9300 is a color laser printer that is capable of monochrome text printing along with imagery. It is designed as an oversized unit that is compatible with a wide format known as Tabloid, which measures 17 in. x 11 in., while the unit's maximum print size is 12 in. x 18 in. It is notably fast and has fairly good print quality, though not as high as some of its rival color laser devices. With tabloid sized printing, a wide range of printing options are available and, with full color at one's fingertips, the production of brochures and small magazines is fully possible. Signs, posters, flyers, and other large format media require a printer of this magnitude, and the Okidata C9300 delivers with a degree of quality and impressive speed. With up to 37 pages per minute for black and white letter sized prints and 30 pages per minute for color, the C9300 competes with standard lasers for basic print speed, but it also does very well with oversized paper. First page out times run at 11.5 seconds for monochrome prints and only 10 seconds for color. The device is equipped with both Parallel and USB interfaces that are bi directional and compatible with both PC and Mac. With an OkiLAN 6200e 10/100 Base T internal print server card, networking is possible without the need for a bulky, external server device. This is made possible via a series of internal expansion slots that also allow users to upgrade RAM memory, and even add a 10 GB hard disk. Standard memory is ample at 128 MBs which can then be expanded to 1 GB of RAM. The unit's processing speed is good, thanks to a 450 MHz internal chip. Maximum print resolution is also decent, at 1200 x 600 dots per inch maximum. Paper handling is exceptional for a unit of this caliber. The device comes with a slightly oversized 550 sheet standard tray and an additional 100 sheet multipurpose tray that is ideal for loading special media types without having to unload regular paper stores. The additional tray also allows for the printing of Transparencies, letter head, and envelopes. Its monthly duty cycle is also worth mentioning, as it is rated at up to 150,000 pages. 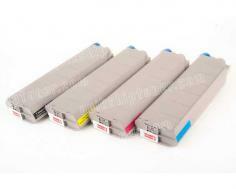 It would be hard to overload a printer as durable as this, as it is designed specifically for high volume. The unit is not network ready, and the print server cards tend to be expensive. Additionally, though the Okidata C9300 has decent enough print resolution, for a color tabloid printer it is slightly sub par, and is not capable of photo quality. 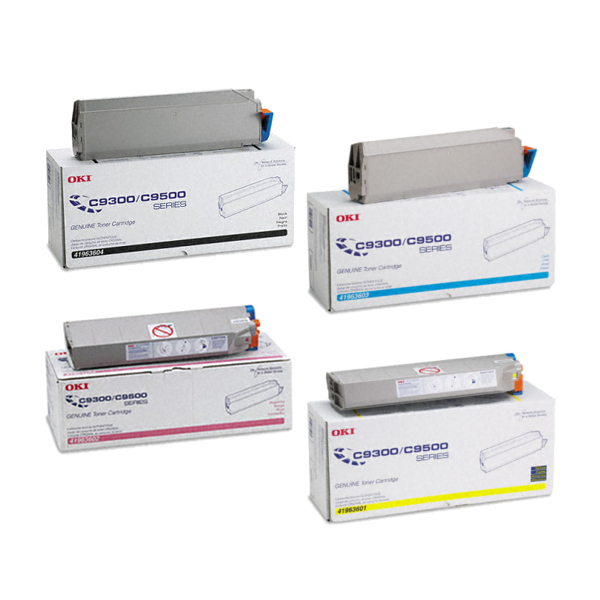 Review it: "OkiData C9300 "
With separate black and color toner cartridges, there is very little toner wasted, and a variety of ink level settings allow buyers to use their toner economically. Interestingly, all toner cartridges available for the Okidata C9300 (Black, cyan, magenta, and yellow) have the same page yield. 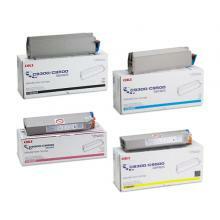 With 15,000 pages per cartridge, toner refill cycles will be long, and user downtime will remain at a minimum.